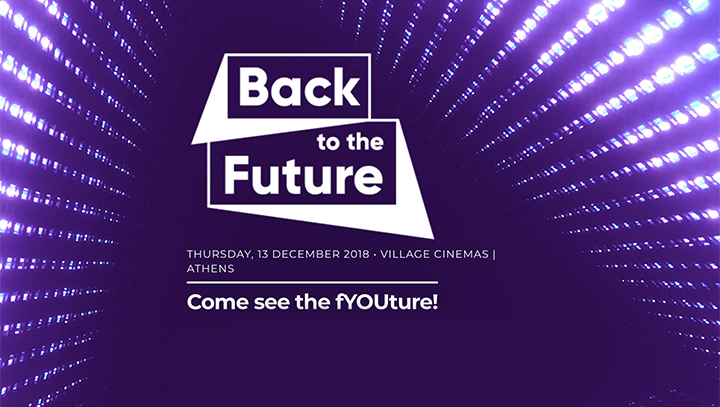 The American College of Greece | ACG time travels “Back to the future” as academic partner of the IMC18 conference! Home » News & Events » News » ACG time travels “Back to the future” as academic partner of the IMC18 conference! ACG time travels “Back to the future” as academic partner of the IMC18 conference! ACG is proud to announce its support as academic partner in this year’s Integrated Marketing Conference (IMC), themed “Back to the future”. The Conference will take place on December 13, at the Village Cinemas! IMC is the biggest gathering of marketing decision-makers in Greece and provides great reach to an expected estimate of 500 professionals from more than 100 companies! 5 well-known campaigns are to be put under today’s consumer scrutiny. 5 teams from Greece’s top University departments of Advertising and Communication are challenged with the task to re-engineer each campaign for today’s media environment. Deree graduate students in Digital Communication and Social Media at Deree are among them! Mentored by the Creative Directors who originally worked on these campaigns, the teams will present the results of their work during a special event at the IMC 2018 on December 13. Moreover, IMC18 is launching the first ever and only career fair in the industry and opens the conference to students from related University Schools while providing sponsoring companies with a competitive advantage in their battle for talent. Good luck to our graduate students in Digital Communication and Social Media!